Match your chic OOTDs with these stylist-approved 'dos! One of the best things about traveling is the chance to wear outfits you normally wouldn’t wear in the city. That beach trip you're going on with your barkada is the perfect excuse to shop for breezy dresses and stylish swimsuits, which your hubadera side would be too shy to rock in the city. One thing you shouldn't forget about? Your hairstyles to match your chic OOTDs! We got to talk to LA-trained hairstylist Suyen Salazar, who gladly dished out some travel-ready 'dos for all your adventures. This hairstyle keeps your locks from flying everywhere while making you look sporty and chic. Add a twist to this classic style by adding playful waves to your tresses before tying it up. Skip the comb and gather your hair with your fingers for a perfect messy ‘do. Braids add character, especially to straight hair. "I love lacing random braids on hair—it adds creativity to the look," says Suyen. You can create one big braid, do your hair in pigtails, or lace small braids all over your head. “When you achieve the perfect undone wave, there’s a lot you can do with it,” says Suyen. 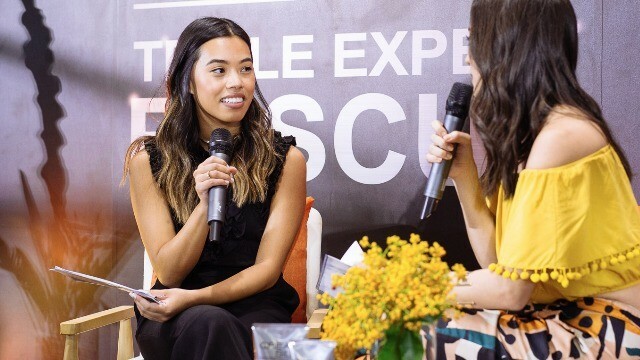 “Even if you don’t style it, you’ll look good already.” To get Suyen-approved waves, start by not washing your hair for a day to give it the natural volume and texture necessary for a good curling job. "I always tell people to [use] second-day hair when they want an 'undone' wavy look. It's when you get the most texture out of hair," says Suyen. Then use a curling iron to curl your hair, leaving the ends uncurled. 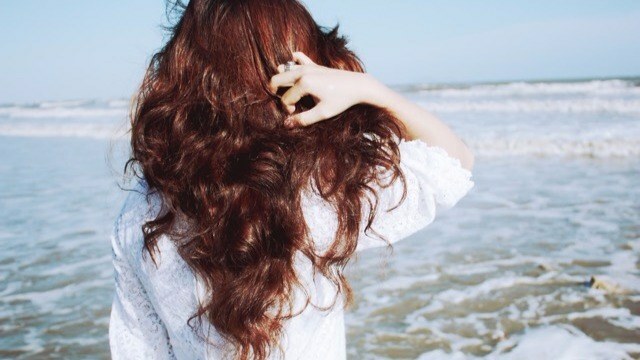 For optimum beachy waves, curl a section of hair towards your face, then curl the next batch away from your face. Finger-comb, and you’re good to go! Suyen’s final (and most important!) mane advice to Pinays? Take care of your hair. 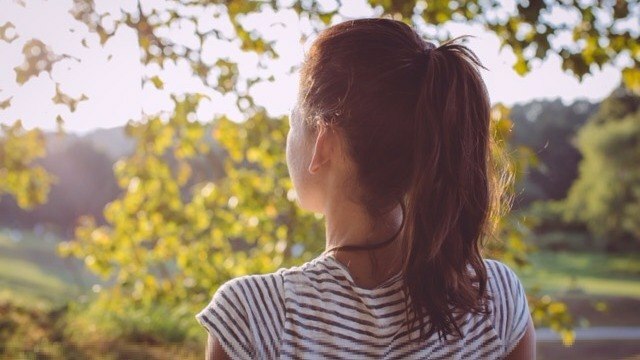 There's a fine line between sun-kissed and sun-damaged, and leaving your hair unprotected while you're outside can turn your locks dry, frizzy, and brittle. 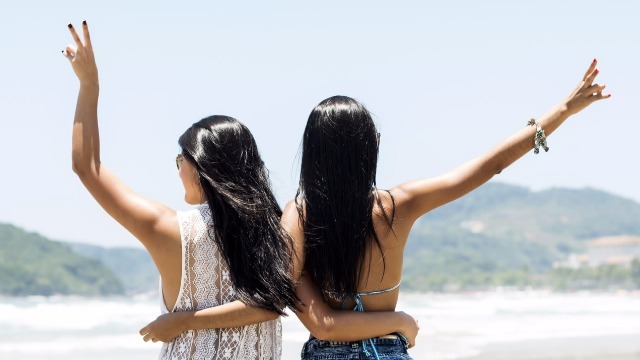 “I always advise my clients that it’s really important that before that next beach or hiking trip, you should take preventive measures to keep your hair protected under the sun,” Suyen says. "I also recommend applying sunscreen to the scalp to shield from the sun and for additional moisture." Pro tip: Bring along easy-to-use products that go that extra mile in keeping your mane healthy like Cream Silk Triple Expert Rescue, which fixes severely damaged tresses in just one wash by targeting dryness, dullness, and frizz: the three most common signs of sun-damaged hair. It's one of Suyen’s fave hair products, and she has handled the tresses of many local celebrities like Kim Jones. Stash it in your luggage so you'll have a #SummerHairExpert wherever you go! Cream Silk Triple Expert Rescue is available in four variants—Dry Rescue, Damage Control, Standout Straight, and Hair Fall Defense. It's available in 10ml sachets (P7.50), as well as in 180ml (P140) and 350ml (P259) tubes at all leading department stores, drug stores, and supermarkets nationwide. You can also buy it online at Lazada.